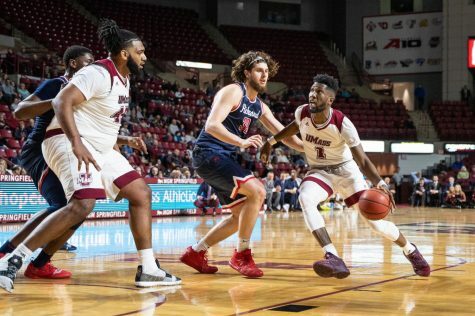 On Jan. 22 at the Mullins Center, the Massachusetts men’s basketball team had a slew of chances to put away easy points and continue to pressure Atlantic 10-rival Richmond. These chances were ill-fated, however, as the ball either bounced off of the rim, off of the backboard or just completely fell out of the hands whichever Minuteman tried to put it away for points. 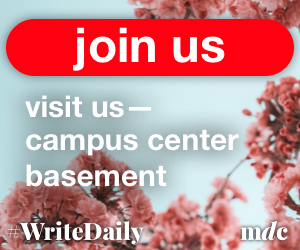 Following the 84-68 loss to the Spiders, the Minutemen (11-7, 3-2 A-10) displayed a bit of regret towards not being able to put away these easy points. 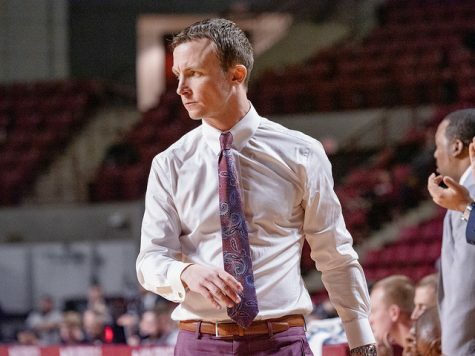 “We missed a couple layups … from where we are as a team we can’t have those mistakes,” UMass coach Derek Kellogg said. 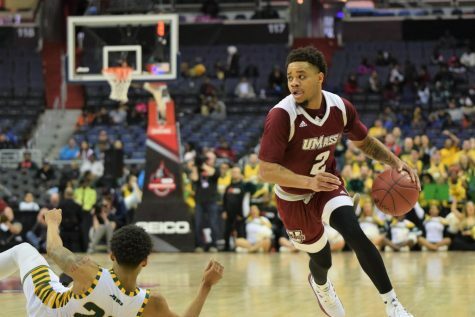 Right out of the gate, UMass displayed a preview of the missed shots to come later in the game, as Sean Carter missed a relatively easy layup following a back-in, post play. 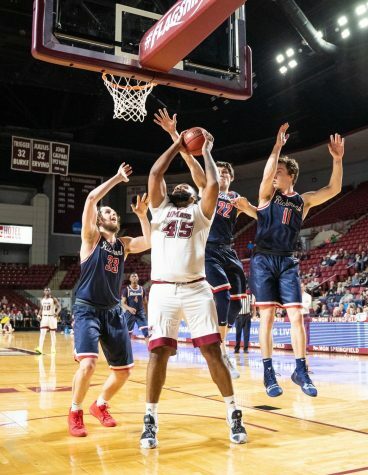 Three out of the first four Minutemen possessions against the Spiders (15-5, 4-1 A-10) resulted in missed layup opportunities. “We felt like we didn’t do a lot of things we should have done offensively,” Javorn Farrell said after the game. 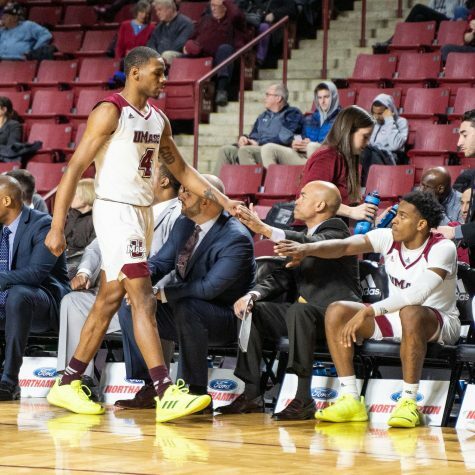 Farrell and the rest of the UMass lineup head to Saint Bonaventure on Wednesday night for a game that’ll put the Maroon and White against a Bonnies side that knows how to rebound the ball successfully and not allow easy second-chance points. SBU (10-8, 2-3 A-10) sits fourth in the A-10 in rebounding defense, with Andrew Nicholson leading the charge. Nicholson stands as the third-best defensive rebounder in the conference with 108 (six per-game). Additionally, the Bonnies rank second in the conference in rebounding margin, as they total 36.8 rebounds a game and allow 33.3 rebounds by their opponents. Against the Spiders on Saturday, the Minutemen nabbed 35 rebounds, which is slightly above the Bonnies’ average allowed. 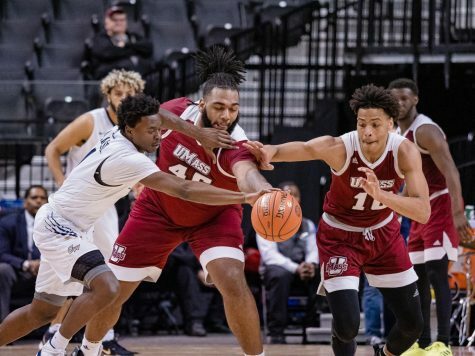 Furthermore, UMass was one rebound shy of having as many offensively as they did defensively (18-17). “You have to offensive rebound against [Richmond’s] matchup zone,” Kellogg said on the Men’s Basketball Radio Show. The offensive rebounds did not seem to work though, as the team suffered from a 23-for-61 shooting throughout the game. 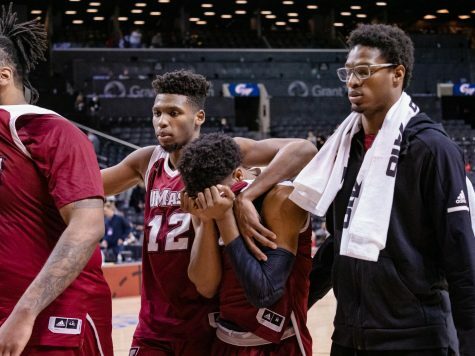 Other than its rebounding skill, SBU recently shut down George Washington with high defensive stops, holding the Colonials (10-9, 3-2 A-10) to 49 points. 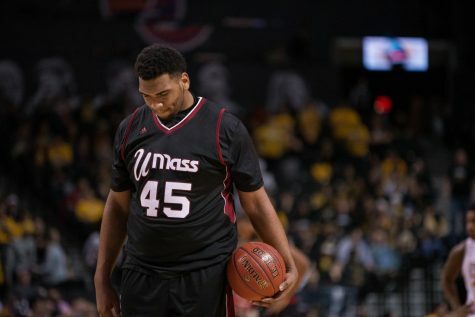 The lowest total UMass had conjured this far in the season was 55 in its win against Dayton. Kellogg isn’t hiding from these numbers either. Right after the Richmond game, he acknowledged that his team needs to put away second-chance opportunities. “We’ve had a couple occasions, even in the last couple of games, where we’re just missing too many easy baskets,” Kellogg said. 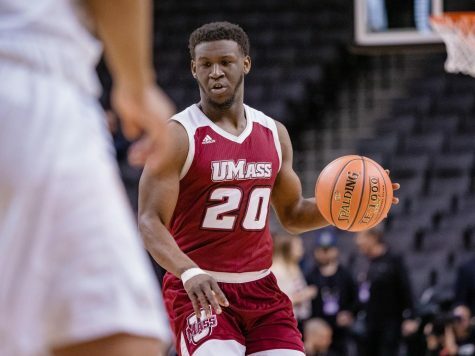 With rebounding and low-post moves becoming a focus for the Minutemen, Kellogg is calling for his team to spend some more time in the gym. The 19-point victory against the 49ers showcased Riley putting on an offensive clinic, as he scored 18 points to lead the team. Riley’s total was one point ahead of usual top-scorer Anthony Gurley (17 points). Gurley is a player that Kellogg cites as being the role model for the rest of the team, however, when it comes to extra time spent in the gym. 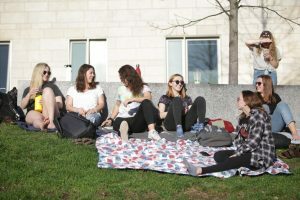 “He’s a guy in there working at his game,” Kellogg said. 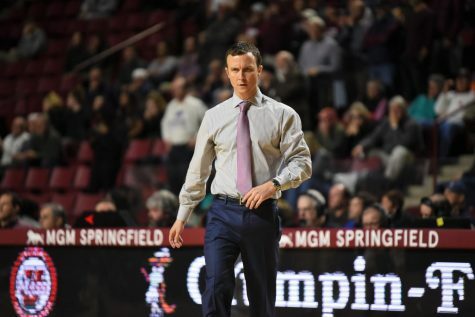 With Gurley headlining the scoring against the Spiders (30 points), the Springfield-native coach explained that if the entire team gets into the gym and puts in the extra hours, Gurley’s totals may change. “If we can get a group of guys that are going into the gym and working, I think you’ll see more balanced scoring on our team,” Kellogg.